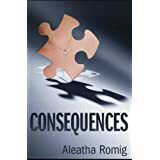 Last week I finally convinced Courtney to try out Aleatha Romig's Consequences and Truth. She was a little hesitant which I completely understood, but I promised to hold her hand and help her through the rough patches. Because I knew she would love them and I wanted to reread them again, I decided to read them along with her.Great decision on my part. Trust us both when we tell you...READ THESE BOOKS. And then do not murder us because the third one isn't out yet. In addition to those two books, I read another superb novel: Down London Road by Samantha Young. I read her previous novel, On Dublin Street, months ago and was hopeful that her newest release would be as good. It was. It was so good and I was so effusive in my enjoyment of it that Courtney jumped into it, too. Let me just say that this was the perfect choice to get over the book hangover we were having with Truth...unfortunately Down London Road gave me another book hangover. Hopefully I will find another meaty novel to sink my teeth into soon. So, I'm not sure what is next on my reading agenda. I know that Cautious is coming out soon and I've seen some interesting titles floating around on twitter so maybe I'll try one of those...or maybe I'll just go to my favorite standby, Kristen Ashley. All in all, I'd say that my reading life last week was outstanding. I wish every week was filled with such great books. What did you think about our reads last week, Court, and what is up next for you? I do have to agree that this was a week of epic proportions for reading! 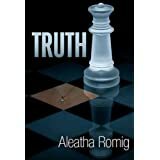 We read Consequences and Truth and I was seriously all over the place emotionally. If you didn't read our Texting & Talking Tuesday post yesterday reference that and you will see I was a little crazy! So then like Shel said we moved on to Down London Road. I dropped everything I should've been doing to read this. And I LOVED it. 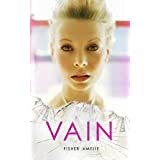 Then I read Vain by Fisher Amelie. LOVED that too! The greatness of this week was just fantastic. Love these books, and love these authors for being so great. Tweet them, they'll likely tweet you back, if they're not writing of course! 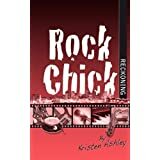 I started Book 6 in the Rock Chick series. I cannot put this off any longer to make the series last, or we'll never get to do an epically huge ROCK CHICK post! So I am reading about Mace, and so far he is awesome. I love how each member of the Hot Bunch has their own style and way of winning over their woman, and I can tell already Mace won't be letting me down. 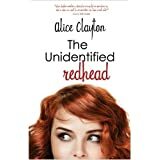 Another one we're going to review coming up is The Unidentified Redhead. This is one I started a while back and for whatever reason put back down. I'm sure like most books this has happened with, I will regret not devouring it when I first got it, but at least I have Shelley this time to hold my hand when the going gets tough. A couple others we are going to be putting on the Review calendar are Trophy Husband by Lauren Blakely that JUST came out! and Until I Break by M. Leighton. This one is no longer being sold due to honestly unsurprising drama. From what I gather some people never learned that old adage if you can't say anything nice, don't say anything at all, but I thought M. Leighton handled everything beautifully and just made her decision and is moving on. I can't wait to see what it's about and am glad we grabbed up copies while we had the chance! All these books are officially in my TBR basket! Thanks for the tips pretty ladies! I wish I had someone to hold my hand during The Redhead Revealed. I went from almost throwing my book across the room to going through a whole box of Kleenex. That was a rough book for me. I hope you enjoy The Unidentidied Redhead and it's sequel if you decide to continue the series. And the third book, The Redhead Plays Her Hand, is released December 24th! This is the second time I've read both and I agree--the second one is definitely the more difficult one (on the heart). I cannot wait for the third one!! !